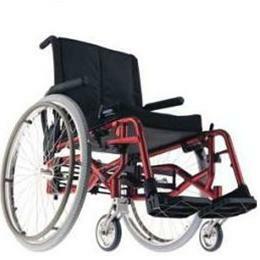 The Invacare® Is the most compact and exciting folding chair in the industry. This high-performance chair incorporates features never offered before on a folding chair. These include the adjustable angle seat independent of the rear wheels and casters and integrated fixed head tubes. Plus its revolutionary folding design reduces the energy-wasting flex of traditional cross braces, which makes the chair dramatically easier to propel.